Readability or ledgability the difference is in the typeface. Readability that’s supposed to be the name of the game. Recently a friend mentioned that he was having difficulty reading a piece of text. He blamed his eyesight. I surprised him by asking what typeface he was using. He’d used Arial I suggested try Gill Sans or Futura. I took the silence over the phone that followed to mean he was being stubborn. I explained that Arial was the computer version of Helvetica. It’s design was optimised to reduce screen pixels not for human readability. Yes it was legible but not really readable. I continued even Helvetica was designed as an attempt to create a 20th century modern typeface but not be particularly human friendly. That said even machines used to scan/ photocopy text, frequently have misread characters set in Helvetica. Replacing similar letters & figures with others. Eventually he said he was stunned. Changing the typeface to Gill Sans had made a huge difference. That he was comparing a block of text set in Helvetica beside a block of text set in Gill sans and couldn’t believe the difference. Gill Sans was so much easier to read. It was an eye opener. 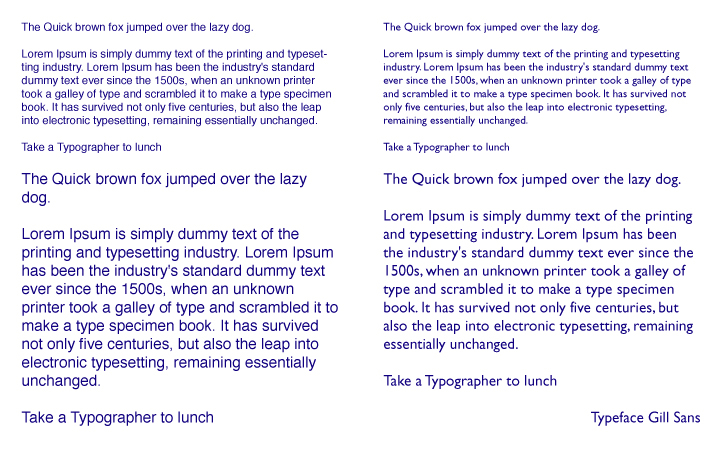 As a graphic designer the readability of one typeface over another is a simple truth. We regularly play with size, colour and context. 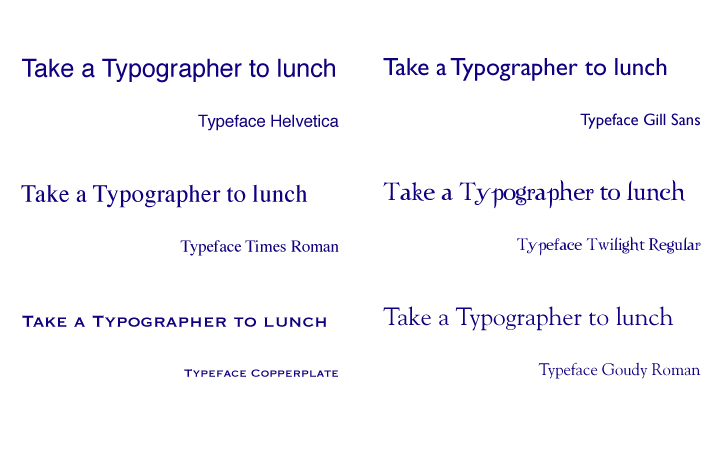 To someone else a font is a font. Of course a programmer knows a font is a set of programming instructions that tells the computer to organise pixels, the viewer reads as a typeface. To a Typographer a fount is a set of letters than combine as a typeface. Some letter style more easily read than others. Serif ‘faces are easier to read than San Serif. Each typeface has it’s own personality and suited to the story or message being delivered. The typeface maketh the message.